Raymond S. Nickerson is an internationally recognized researcher in the fields of cognitive psychology, applied experimental psychology, and human factors. He received his doctoral degree in experimental psychology from Tufts University. After spending 25 years as a researcher and manager at Bolt Beranek and Newman Inc (BBN Systems and Technologies), he retired as a senior vice president and returned to Tufts. 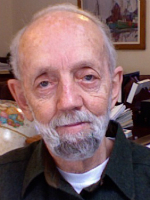 Nickerson has made major contributions to many areas of cognition, human factors, and computer technologies. His recent work has focused on probabilistic reasoning, but earlier work spanned attention, memory (including a famous study of memory for images on pennies), problem solving, creativity, adult literacy, speech recognition and production, and human-computer interaction. He is the author of eight books, the latest of which is Mathematical Reasoning: Patterns, Problems, Conjectures and Proofs. He was the founding editor of The Journal of Experimental Psychology: Applied and of Reviews of Human Factors and Ergonomics, the latter a series published by the Human Factors and Ergonomics Society. He was a contributor to the first seven volumes of the prestigious Attention and Performance series, editor of Volume 8, and invited discussant of Volume 17. He served on the executive committee of the International Association for the Study of Attention and Performance and as committee chair. He also served as chair of the National Research Council’s Committee on Human Factors (now the NRC Board on Human-Systems Integration), and as a member or chair of several other NRC committees, panels and working groups. Nickerson is a fellow of the American Association for the Advancement of Science, the American Psychological Association, the Association for Psychological Science, the Human Factors and Ergonomics Society and the Society of Experimental Psychologists. He is a recipient of the Franklin V. Taylor Award from the American Psychological Association, and honoree of the annual Raymond S. Nickerson Best Paper Award for the Journal of Experimental Psychology: Applied, established by the APA’s Division of Applied Experimental and Engineering Psychology. He received an Outstanding Career Achievement Award from the Tufts University Graduate School of Arts and Sciences and School of Engineering. He is a past president of ARC Massachusetts and the recipient of three awards from the association. Douglas H. Harris, Anacapa Sciences, Inc.
* The FABBS Foundation would like to thank Dr. Arthur C. Graesser and Dr. James T. Townsend for nominating Dr. Nickerson for this honor and for leading the effort to spread the word about his nomination. Would you like to honor Dr. Nickerson? It’s not too late to have your name added to the list of donors! You can make your donation to Dr. Nickerson’s In Honor Of… campaign at anytime.